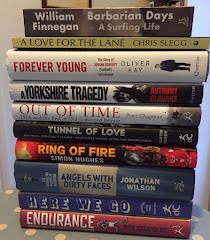 Congratulations are due to publishers Hodder and Stoughton for coming up with what is surely the year’s cleverest title for a sports book. It will appear on the cover of England spin bowler Graeme Swann’s autobiography, due out in October, after someone with an eye for a play on words had spotted an opportunity to have some fun. “’The Brakes Are Off’ was the idea on the table but because Graeme bowls off-breaks it was crying out for ‘brakes’ to become ‘breaks’,” Swann’s ghostwriter, Richard Gibson, told The Sports Bookshelf. Gibson has delivered the final manuscript for The Breaks Are Off, which promises some interesting insights into the recent history of the England cricket team from one of its more colourful characters. 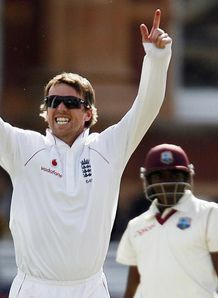 Swann, 32, had to endure a seven-year wait between his first appearance for England and his second but has made up for lost time, establishing himself as the highest ranked spin bowler in the world. Twice an Ashes winner now, Swann has enjoyed some notable success in recent seasons but his career has had some low periods too and the book reveals the true nature of his relationship with former England coach Duncan Fletcher. Swann’s first England tour in 1999-2000 was also Fletcher’s first and, as a 20-year-old eager to be seen as a ‘good tourist’ in the social sense, he did not endear himself to the hard-nosed Zimbabwean, not helping his cause by missing the team bus twice. It was after falling out with Wessels, who played Test cricket for Australia and South Africa, that Swann left Northampton to join Nottinghamshire. Kepler’s son, Rikki Wessels, is now one of Swann’s teammates at Trent Bridge. You can already pre-order The Breaks Are Off from Amazon. I know it's the way things usually are, but I do wish ghost-writers would get at least a small mention on the cover, ie "GRAEME SWANN (with Richard Gibson)". I think they deserve that much.